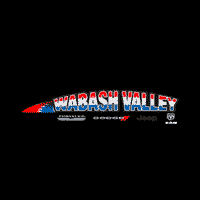 FInd the Jeep savings you are looking for in Indiana at Wabash Valley Chrysler, LLC during the Jeep Black Friday Sales Event. Located near Peru, Indiana, Wabash Valley offers qualified buyers additional savings and cash bonuses to help our customers save the most ever this holiday season. Visit us before the Black Friday rush to save on a new 2019 Jeep Wrangler Unlimited Sahara 4X4 on another new Jeep!